I think my absolutely favorite part of my daughter’s Harry Potter Birthday party was the sorting of the kids. I made a paper sorting hat for each child filled with either red, blue, green or yellow M&Ms. The kids picked a hat randomly and opened it up to see what house they were. 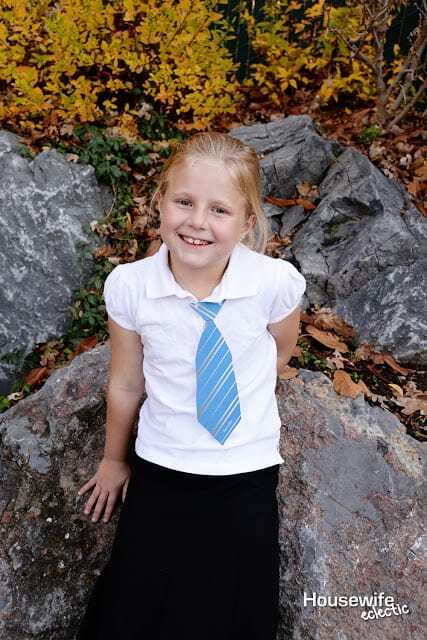 After they were sorted we put a paper tie around their neck that matched their house. They kids LOVED it, it was easily the best part of the party. 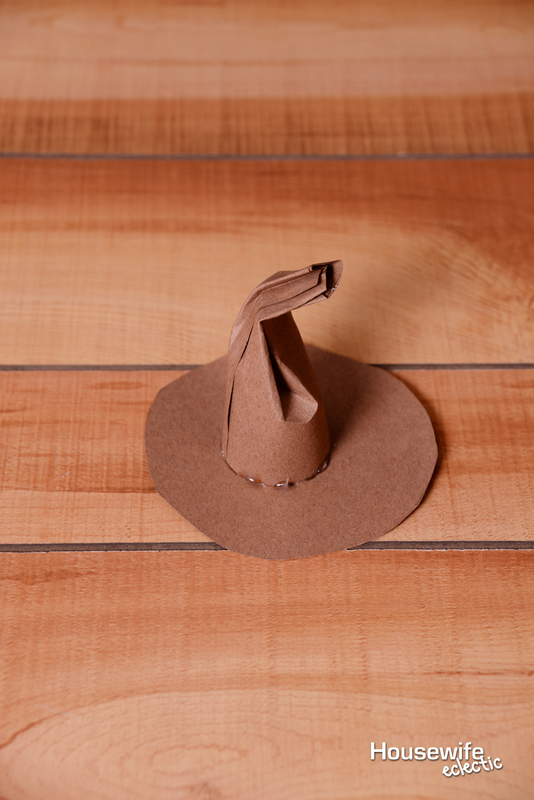 The hats are really easy to make and only need a few supplies! Cut strips of construction paper about 3 and 1/2 inches tall and wide enough to make a loop. 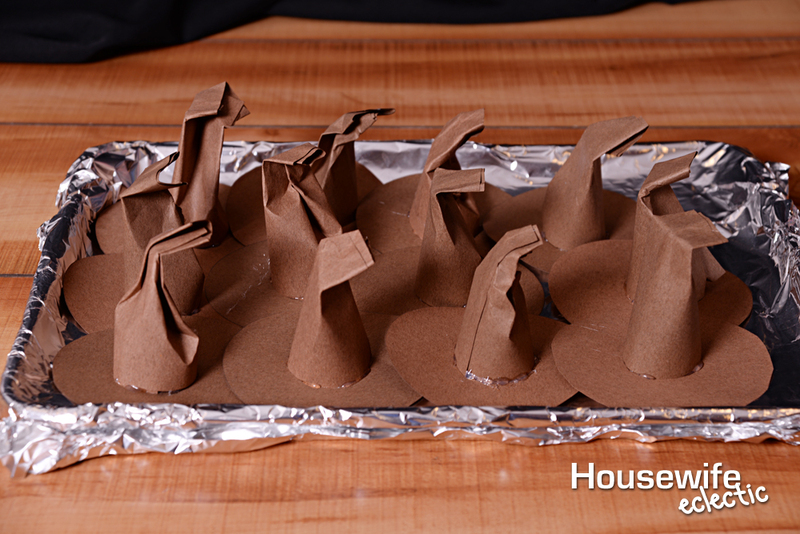 The easiest way to make these is to use a paper towel roll as a form. 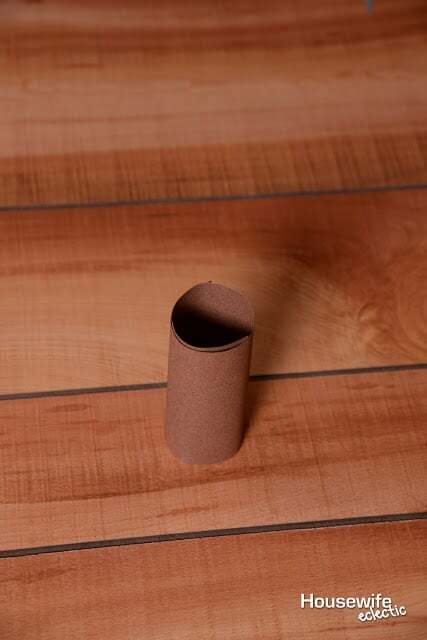 Wrap the paper around the roll and hot glut the edge. It should be loose enough to slide off the roll. 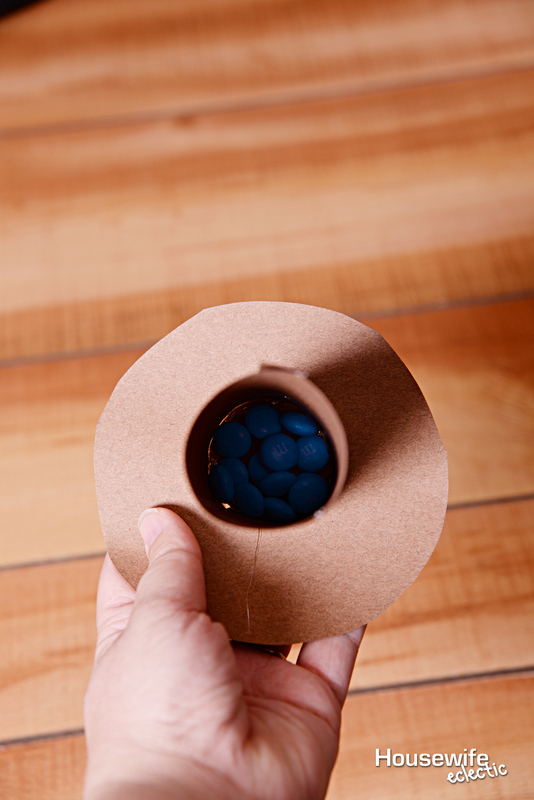 Cut brown circles out of construction paper, I used a CD as a guide but a bowl or other round object would work well too. Hot glue the tube to the circle to form the hat. Fill the hats with colored candies. Blue for Ravenclaw, red for Gryffindor, yellow for Hufflepuff and green for Slytherin. I filled equal numbers of each hat with each color for the party. 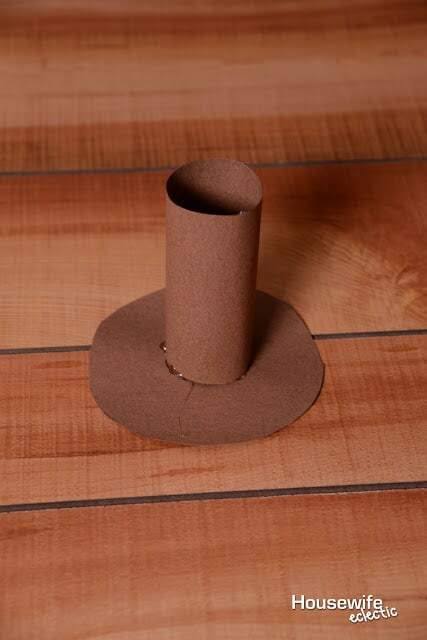 Twist the top of the tube together and bend it to the side to make it look like the Sorting Hat. I mixed that hats all up so there wouldn’t be too many of any one kind in a row. My daughter is a proud Ravenclaw and since it was her birthday, I wrote her name on a Ravenclaw hat so she would be sure to get her house. 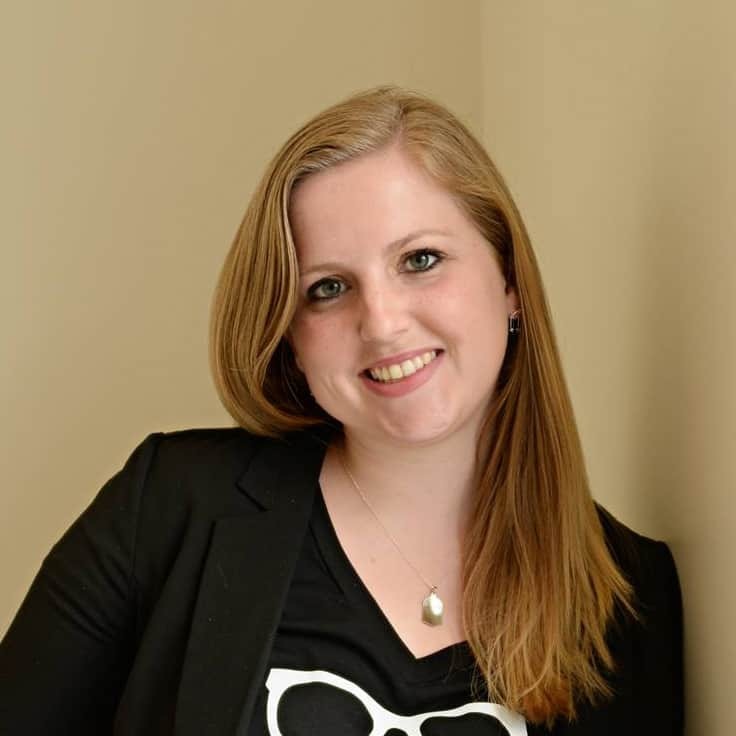 For the ties, I printed out the printable (found after the tie pictures), punched holes in either side of the top part of the tie and strung baker’s twine through the holes so we could hang around their necks. It was really fun to have something for them to wear that showed their house. You can see in the pictures from the party, the girl in front is being sorted with blue M&Ms spilling from her hat and the girl in back is getting her tie. This is going down in history as my favorite party I have every thrown! Download the printable ties below and find other ideas from this party at the bottom of this post! Sounds like a fun craft! I bet all the kids loved it! What a really super creative craft for your daughter's birthday! Love the sorting and the Harry Potter hats and the DIY creativity involved! I love all of your HP ideas! I bet your parties are the best. OMG I love this! Having a sorting hat and then something to open and visually see what house your sorted in, is fabulous!! This is such a cute idea! I wish my children were at an age when they would find Harry Potter interesting so I could do this kind of craft with them. I am beyond a Harry Potter fan and at 25 would love this for one of my own parties! Def have to bookmark this and try these things. Seriously! These are too cute and perfect for a Harry Potter theme party! I'm sure the little ones LOVED these! What a cute craft! I really want to try these, my sister in law just asked about finding Harry Potter decor and crafts, so I am sending this to her now! How awesome is this! Pinning this for sure for all of my Harry Potter loving friends! I seriously love this! I'm a huge Harry Potter fan and would love to have this even now! Haha! I know quite a few adults who would love a party like this one! 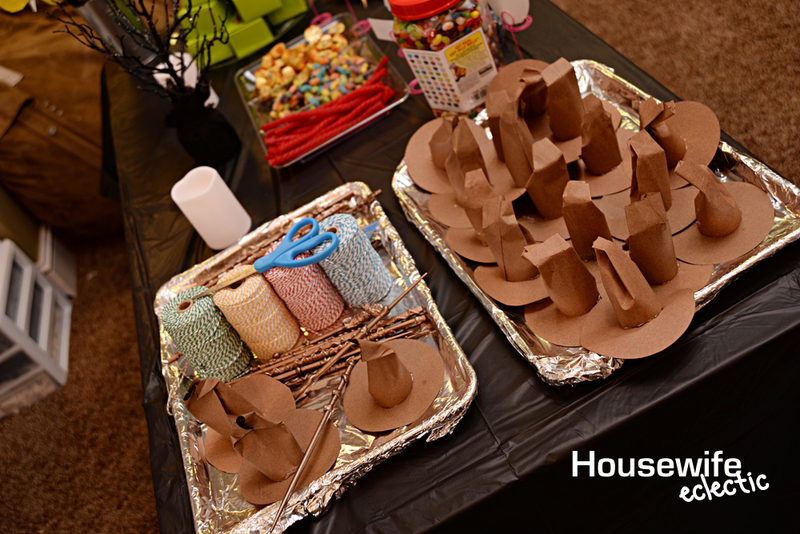 Very, very crafty – it looks like everyone had a fantastic time! 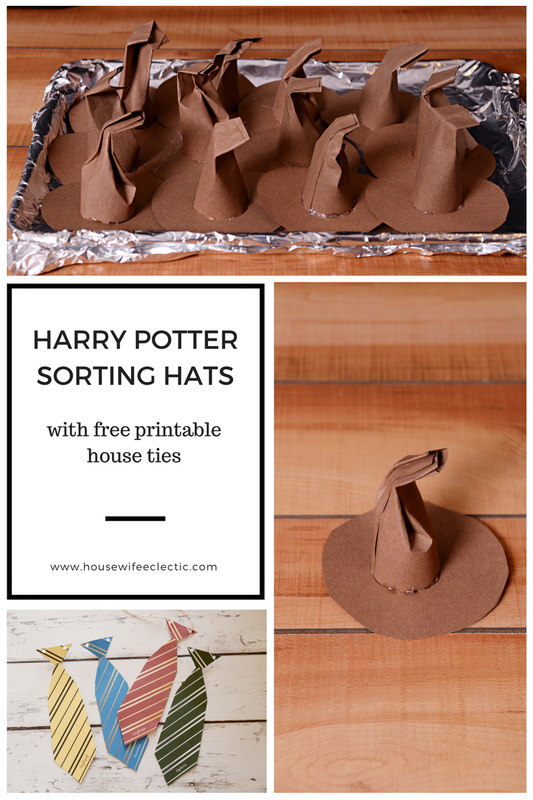 Harry portter ANYTHING Is amazing but i really love these sorting hats! What a cute gift and so personal! 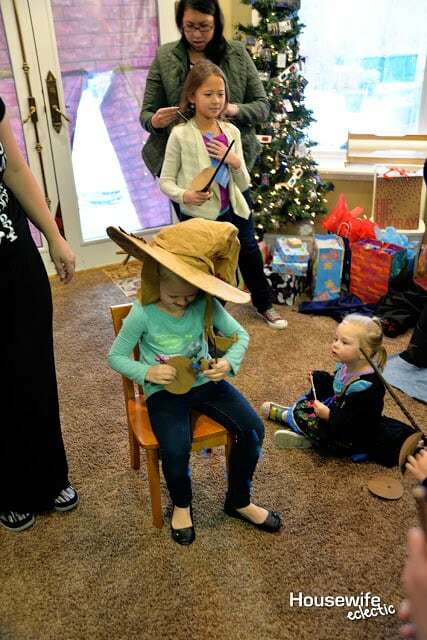 I love this party theme and these sorting hats are the cutest! I thought the DIY quidditch pitch would be perfect for us too, so cool! THis is such a super cute party idea. I have tried to convince my son for the past two years to have a Harry Potter theme. Maybe one day he will! I love the sorting hat! I have a question for you, if the sorting hat was putting me into a house which house do you think I would be? I bet they all had a blast! Confession… I've never read harry potter!? I should probably work that into my resolutions somehow this year, lol! I have never watched any of the movies or read any of the books, but I know that there are so many fans that would enjoy something like this. My son would probably enjoy it, too. Now, aren't these fun! It's perfect for parties and for occasions like trick or treating. I love the creativity, I think the hats turned out great and the ties are awesome! This is a really great post. My kiddos are not old enough to know about Harry Potter. These are really cute. What a cute treat for a birthday party or some other sort of kids party. It's so simple too. I love it. I love all of the crafts you make! These little hats are so cute! I would love to make them with my kids this week! They seem very easy to make as well! 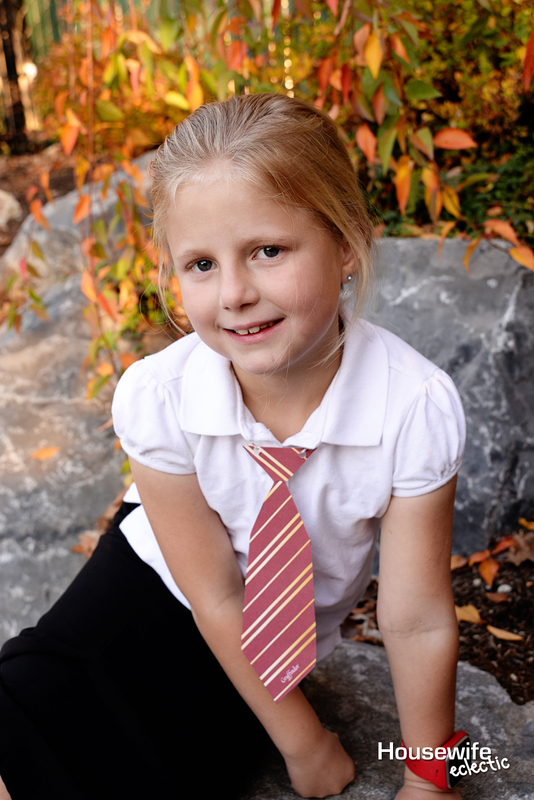 Wow, so cool – and your girl looks absolutely adorable with the harry potter hat and the printable tie, on! My girl will love them as much as I do. Such a lovely DIY craft idea!! These are too cute, you did a fabulous job! I love crafty projects like these. This all looks like so much fun! I have a Harry Potter fanatic as a friend and she would love all of this. Thank you! We are using these for a magical themed camp. 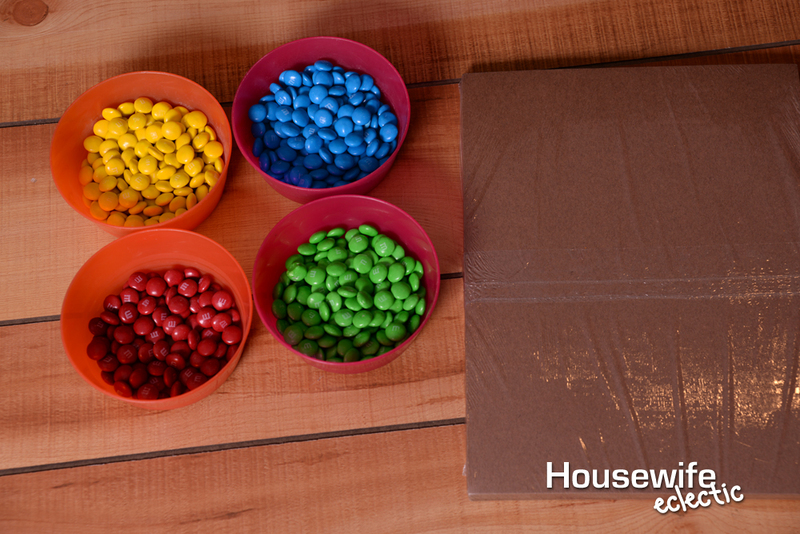 Our Girl Scout Troop will love these! Thank you for providing the ties for free.